TCU has earned a class of 2020 commitment from Grayson Schirpik, who comes from the same high school as star freshman elan McCall. 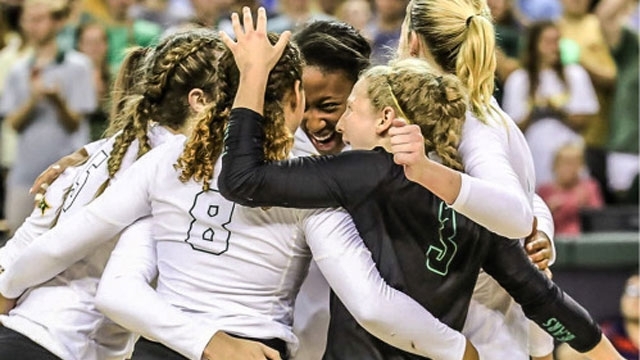 Baylor continues to make a big splash in the future recruiting game this summer with their latest commitments for both 2021 and 2022 in setter Faith Lynch and outside hitter Sophia Keene, respectively. Coming one year sooner is Lynch, who would join the Bears in the fall of 2021. She is slated to be a sophomore at Magnolia High School in Texas. In her first season at the school, the 5’6″ setter notched 345 assists (3.4 per set), 123 digs (1.2 per set) and 42 aces (0.4 per set) according to her MaxPreps profile. Lynch also plays with Houston Juniors on the club side and video of her play from both club and school can be seen here via Hudl. Keene meanwhile has yet to begin high school, although that will start up this fall when she will be a freshman. She does play club ball though, as she is on the TAV Houston 14 Black team with TAV Houston Volleyball Club. Video of her play with the club can be seen here via her SportsRecruits profile. Just a little over a week ago, Baylor also grabbed a commitment from another class of 2021 setter in Molly Kipp out of Arizona. It seems the recent success for the Bears are allowing them to clean up early for future recruiting as they look to become a mainstay in the Big 12. Baylor is coming off of a 24-7 season in which they finished second in the Big 12 at 13-3 in league play and made the NCAA Tournament Second Round. They are also ranked 18th in the Way-Too-Early 2018 VolleyMob Top 25 Power Rankings.